Pokémon Go – The latest in place making? You go to the Pokémon (creature) so you actually have to see the monument and it opens people up to the city. The game highlights local art and monuments for people who otherwise wouldn’t have known they existed (Edmonton Pokémon Go player). There is a craze targeting 20-somethings in our fair city. It’s Pokémon Go. For those who missed the Pokémon movement of the late 90’s, Pokémon are little creatures such as snakes, rats, dragons, eggs, etc. and the goal of the game is to ‘catch ’em all’. The new virtual Pokémon Go has exploded among those nostalgic for their Pokémon past. While Pokémon Go players wander the parks and playgrounds in search of these little creatures, one can’t help but wonder if there is something else happening. Is Pokémon Go a new opportunity for public engagement? Michel de Certeau argues that stories, dreams, histories and myths connect people to places and render them tangible and habitable. Pokémon Go could be a new form of urban myth that not only connects, or reintroduces, Pokémon participant to the sights and sounds of their city, but also spontaneously brings people together, creating random, fluid and temporary ‘communities’. Pokémon Go is ‘bowling en masse’ and is a golden opportunity for engaging, talking, reaching out, involving, inviting, attracting and introducing the uninitiated to the art of planning our public spaces. As any urban planner will tell you, public engagement can be quite disengaging for many citizens. The challenge is to balance needs, interests, concerns of all citizens often within tight fiscal constraints and many times, only a fraction of citizen voices are heard. 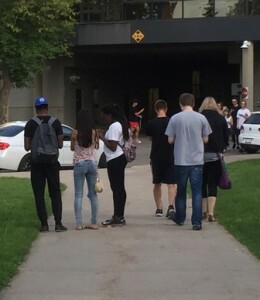 While this new fluid Pokémon Go audience may not necessarily be ‘captive’, they are ‘out there’, gathered in public spaces and maybe even available to talk about these newly rediscovered public spaces and perhaps other planning issues that come to mind….bike lanes, infill, public art, affordable housing, urban sprawl, etc. etc. But like all crazes and fads, this too shall pass, and planners must strike while the iron is hot. So come on planners, get your Pokémon game on, join in, and see what happens.